Delhi student Bhargavi Goel’s app acts an idea repository for young minds with startup dreams. 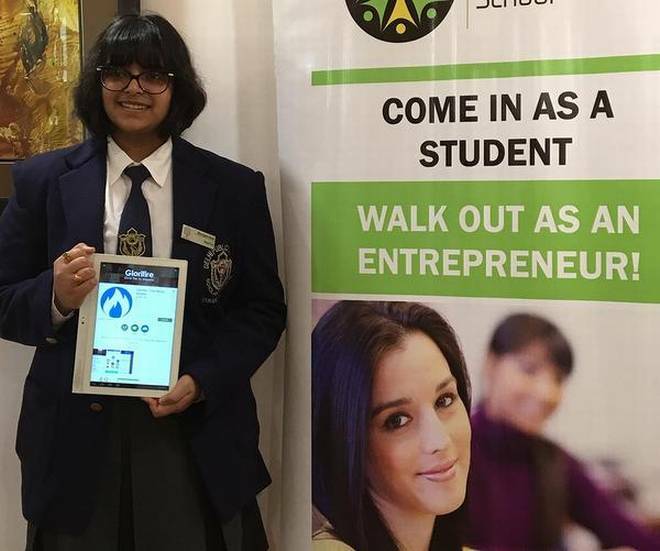 This is as meta as entrepreneurship gets: an app for aspiring entrepreneurs and its creator are chosen for incubation by The Entrepreneurship School (TES), Gurgaon, a school for aspiring entrepreneurs. The creator, Bhargavi Goel, a Class XII student of DPS Vasant Kunj, ideated Glorifire less than a year ago, inspired by Prime Minister Narendra Modi’s Startup India project. “All children usually get several ideas, some of them powerful. But nothing comes out of them as there is no structured mechanism or platform to take such ideas forward. The name for the app comes from one of the early visions I had, which was to build something that gives fire to dreams of people and help them achieve glory,” says Bhargavi. She feels that the collective ideas of India’s youth, put into action, could lead to positive transformation. Over the course of 2016, she worked on building an app that would be an “idea repository”, where students can share their startup ideas, get feedback, and even connect to co-founders, mentors and investors — have access to an entire entrepreneurship ecosystem through an app. Since the target users are students, she has worked hard throughout the application development process to make the interface intuitive and easy-to-use throughout each iteration. An initial version of the application is now available on Google Play Store, with an update coming soon. Bhargavi has experience coding since Class VIII, and she taught herself Android app development as she was building the app. But as is often the case in the constantly changing world of technology, the complex requirements of Glorifire made her realise that her coding skills may not be enough. “There were moments when I thought I didn’t have the right knowledge. But at each such stage, I would shout for help from my friends, seniors and other people in my community,” she says.